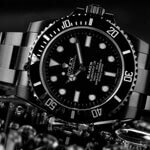 For decades it was the most striking watch of its kind. And now it is back in very impressive fashion. 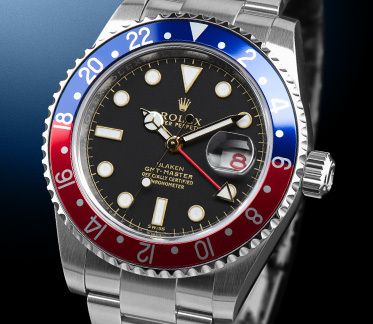 The blue-red PAN AM® GMT-Master. 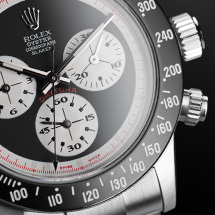 For decades it was the most striking watch of its kind. And now it is back in very impressive fashion. 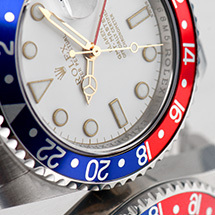 The blue-red PAN AM® GMT-Master. 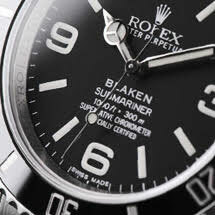 In 1954, Pan American World Airways asked the company Rolex to design a timepiece that could display a second time zone. The background - during transatlantic flights planes pass through several time zones. Back then, Greenwich Mean Time (GMT) world time and the local time at the destination had to be available. 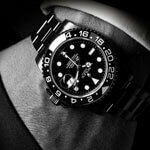 The innovative solution from Rolex: a fourth hand for the PAN AM® GMT-Master. 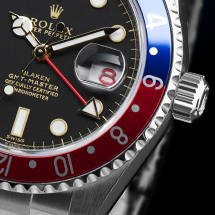 This fourth pointer hand goes around the whole face during the course of 24 hours andshows the second time zone on a rotating bezel, which is blue on the upper part and red on the lower part. 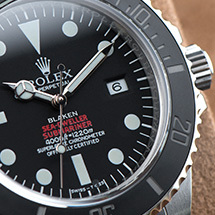 As a Blaken, the watch also has a hand painted face that gives it the look of yesteryear. 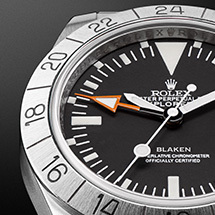 The Blaken PAN AM® GMT-Master from the Vintage Line very successfully pays homage to the pioneers from 1954. 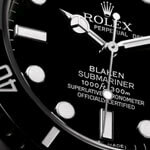 Today, two worlds collide again - the state-of-the-art know-how of the Geneva-based watch manufacturer and the legendary design of the GMT-Master. 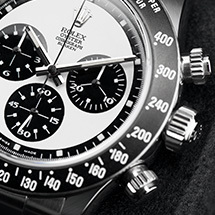 Based on the fleet size of PAN AM® at that time, the limited edition is restricted to 158 watches worldwide. 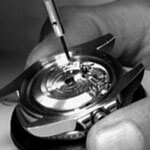 Blaken delivers the watch in a hand-crafted aircraft-aluminium box. 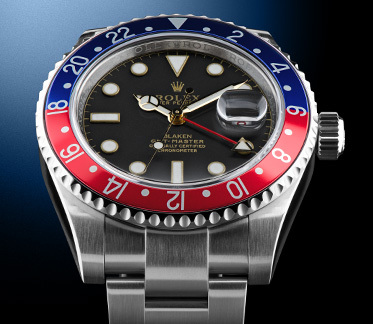 And the time flies along too - in two time zones since 1954.
shows the second time zone on a rotating bezel, which is blue on the upper part and red on the lower part. 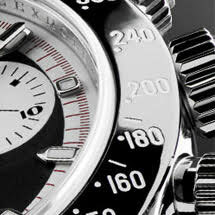 As a Blaken, the watch also has a hand painted face that gives it the look of yesteryear. Handmade vintage face with PAN AM® design. The crownguard was removed in the CNC process. 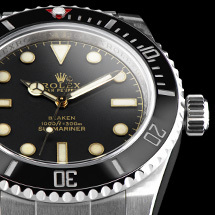 Original vintage bezel made of anodized aluminium. Individually engraved case back with numbering.